Normal crowded start in the inner harbour and spinnaker up off the start. 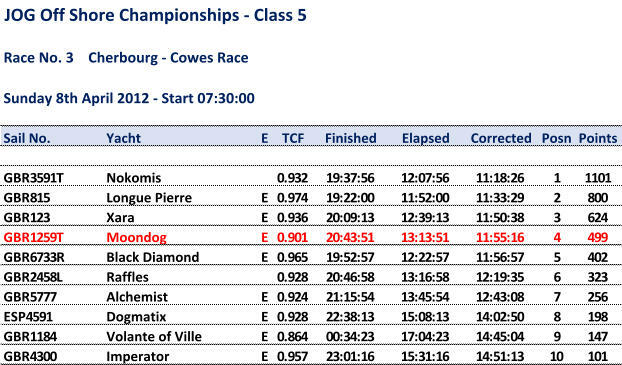 Got a bit tight as we crossed the channel and made good progress as the wind picked up. Ended up a bit to far East due to the fast crossing so probably lost a bit of time getting into Bembridge. Beat up the Solent against the tide and the normal dice with death trying to get out and around Snowden but made the finish in time to get on the mooring and back into Cowes for a well deserved nosh in our favourite curry house. Overall fourth which wasn't too bad.